Trace style animal vector portrait of an adult tiger. Features orange and yellow gradient coloring and black line work. 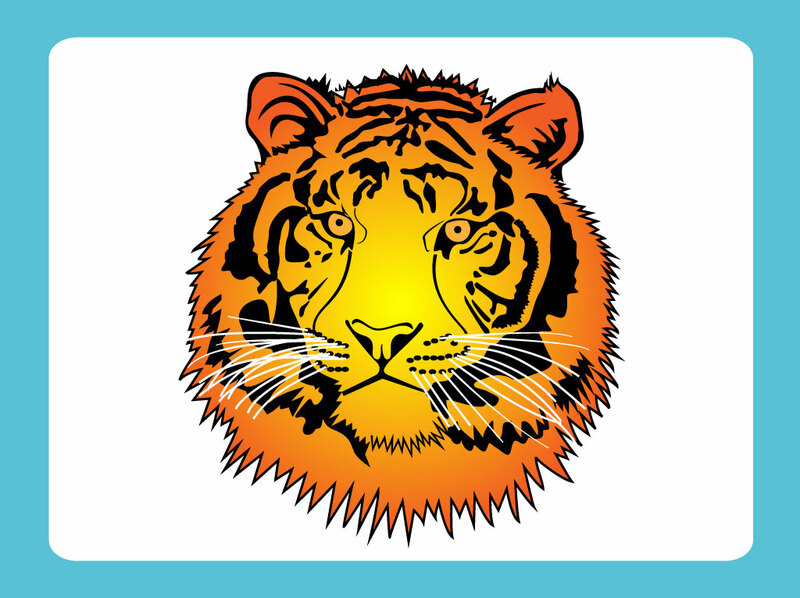 Tiger vector graphics come with white and blue rounded rectangle frame background. This free tiger close-up Illustrator download is a great tattoo design or could work well in tropical or exotic themed designs for jungle, safari and wildlife promotions. Tags: Animal, Close-Up, Dangerous, Head, Jungle, Striped, Tattoo Design, Wild.